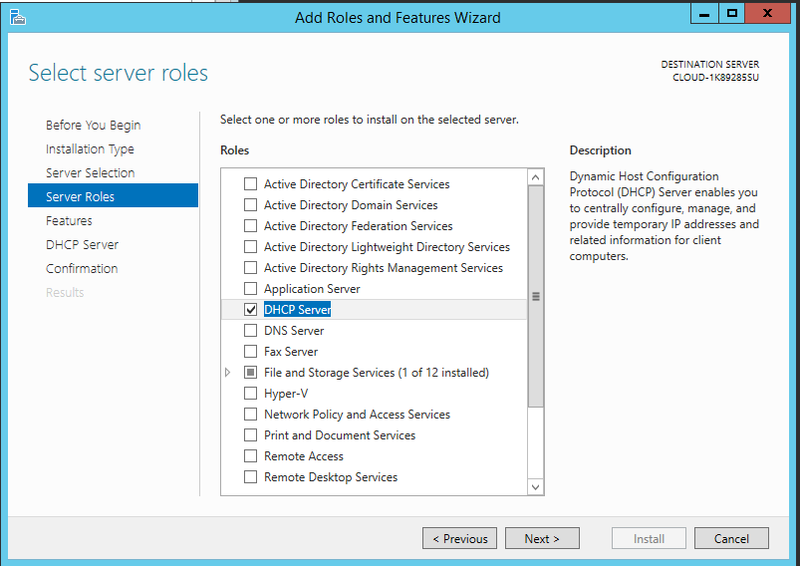 Installation procedure for installing a DHCP server onto Windows 2012R2 with Server Manager. Server must have access to the internet. Select the Next button. A popup box will appear, proceed to select “Add Features”. 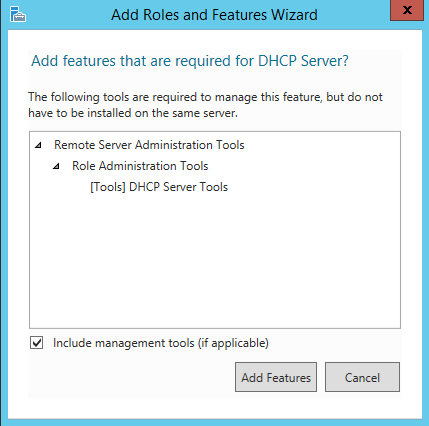 Make sure the “Include management tools” check box is selected. 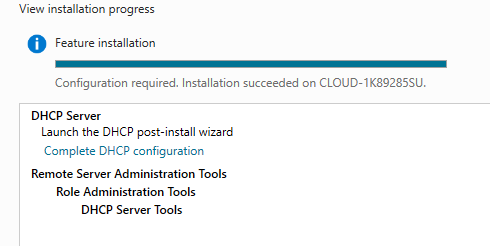 Select “Commit” as seen below. 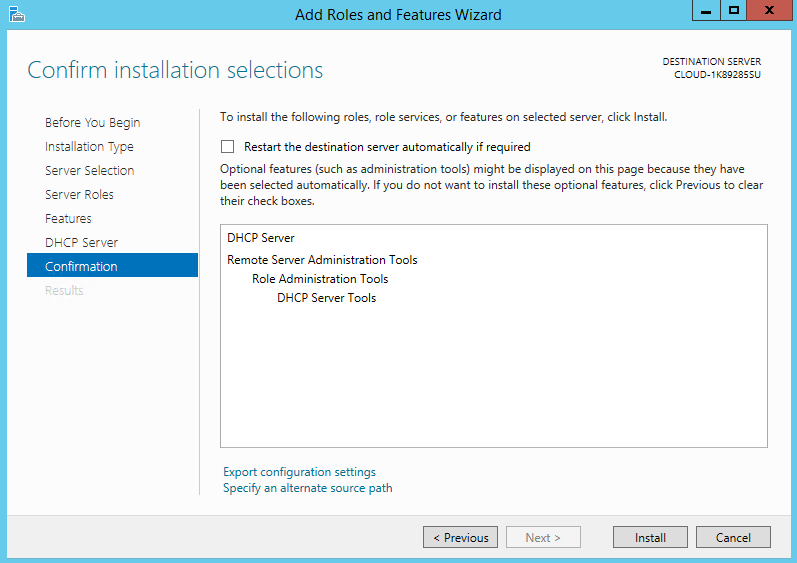 Then select “Complete DHCP” configuration”, and select “Commit”.